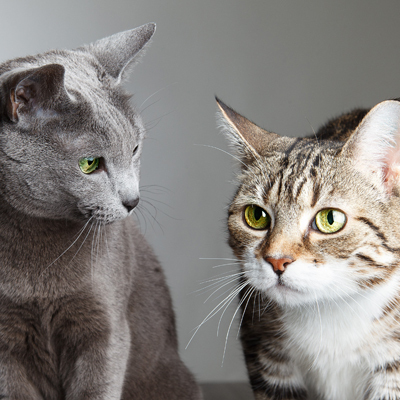 The thought of adopting two cats at once may seem daunting. 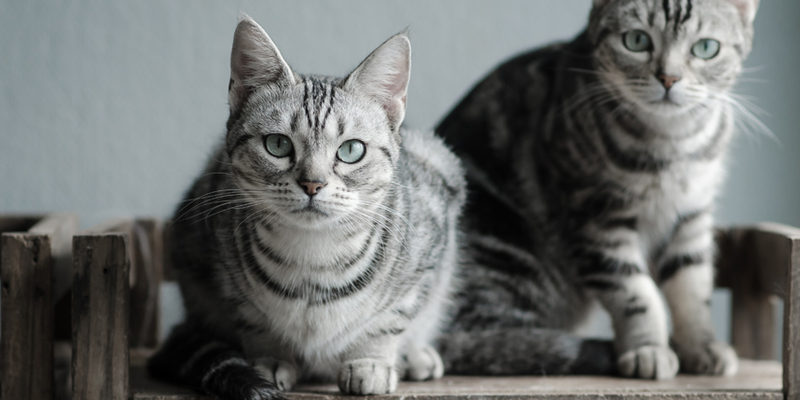 While pet parents should certainly consider the added responsibility of adding two felines to their family, there are some advantages to adopting multiple cats. 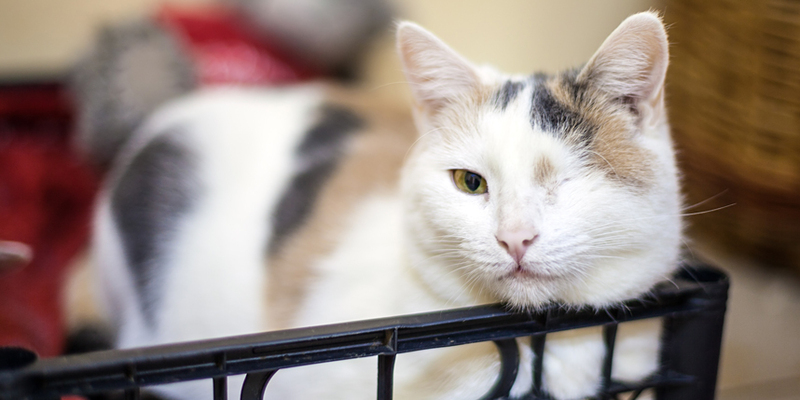 Here are four benefits for pet owners that are considering adopting two cats at the same time. 1. They keep each other active. 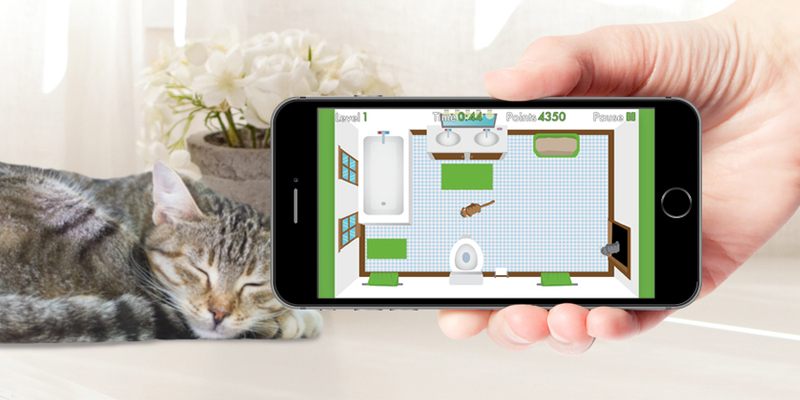 Having two cats in the home inspires both to play and interact more frequently. They are more likely to mimic hunting, engage in enthusiastic play around the house, or simply keep each other on their toes. However, as cats are instinctually territorial, it is important to make sure they have their own space to retreat to when they wish to rest. This will help encourage healthy interaction and the room necessary to keep everyone getting along. It is also important to know that some cats may not be best friends immediately and age differences can impact how they interact. 2. They are more mentally stimulated. A lonely cat is more likely to cause “trouble” without even realizing it. Boredom can lead some cats to scratch furniture, climb curtains and use the toilet paper as a toy. 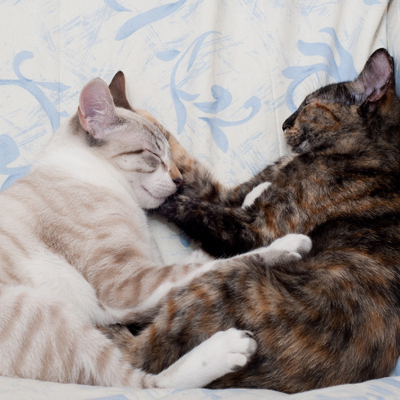 Having two cats in the house (provided they are a good match) can help because they mentally stimulate one another. They will invent games, chirp and chatter with one another, and keep themselves challenged when you are not around to play with them yourself. 3. Having two cats helps them be cats. Cats are very much like people. There are those that tend to be extroverts and pounce right into laps begging for attention. Then there are the quiet hiders that slink stealthily around the house, observing everything and everyone from a cautious distance. But as much as we wish to understand our cats as having human-like characteristics, they are, in the end, cats. Having two cats allows them to be cats when they are interacting amongst themselves. They mutually nurture and embrace their feline instincts. 4. They help groom one another. 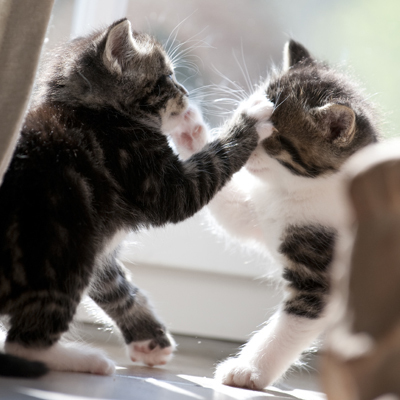 Although cats are known to be fastidious self-groomers, having a second cat could help redouble their efforts. They are likely to groom each other and clean hard to reach places that are often neglected. If you find the right match, you can be rest assured that those spots behind the ears or on the neck are being addressed on the regular. It’s important to make sure you are ready to take on the responsibility of adopting two cats and finding the right match is critical. 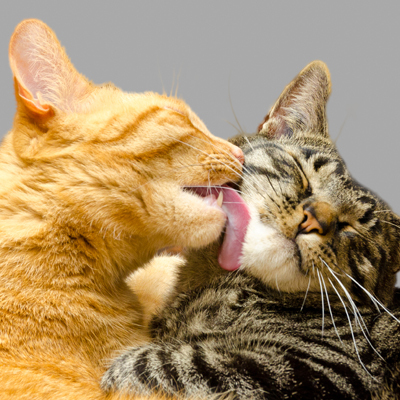 Consider visiting a shelter and watching how two interact, or simply ask to see if certain pairs seem to gravitate toward one another frequently. This may be a good indicator of their compatibility. Today’s shelters are filled with cats that require forever-homes. 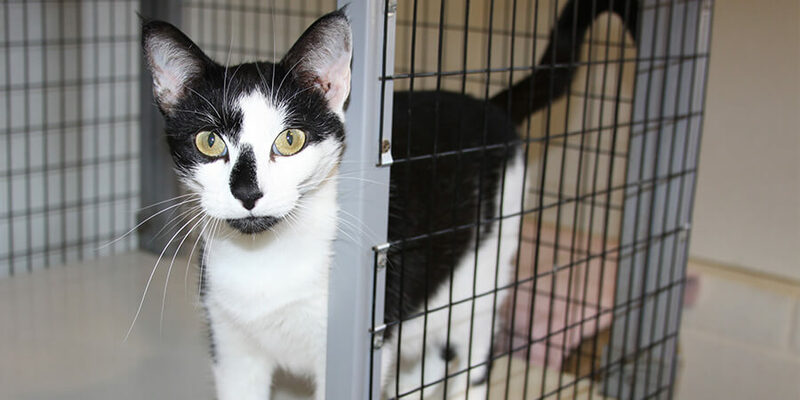 When you adopt two cats at the same time, you are not only taking the steps to keep both cats healthy and happy, but you are also lessening the financial strain and challenges adoption centers face on a daily basis to provide for their welfare. You benefit from the love and companionship of two cats, and your local shelter can utilize their time and resources more effectively. But in the end, you are also providing a forever home, and that’s the most important thing.